Life changes after marriage. Fate also changes after marriage. If the position of planets is good at the time of marriage then it gives benefit. If the position of planets is not good at the time of marriage then it creates problem. 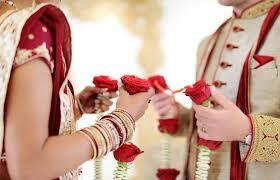 If seventh and eighth house is good then luck gets benefit through life partner. If seventh and eighth house is not good then one might face problem after marriage. Do not take free stuff from in laws house. Give return gift if you take gift from in laws house. Take plant from in law house and plant it at your house. All relatives should serve elders of old age home with food and wealth. Donate gram flour on Tuesday. Put half teaspoon milk in the root of banyan tree and keep wet soil with you. Daily husband-wife should do tilak after worship in the home. Keep solid silver stuff in bedroom wall. Avoid having meat, alcohol and tobacco. Donate red clothes to sister and aunt. Hide silver under head.